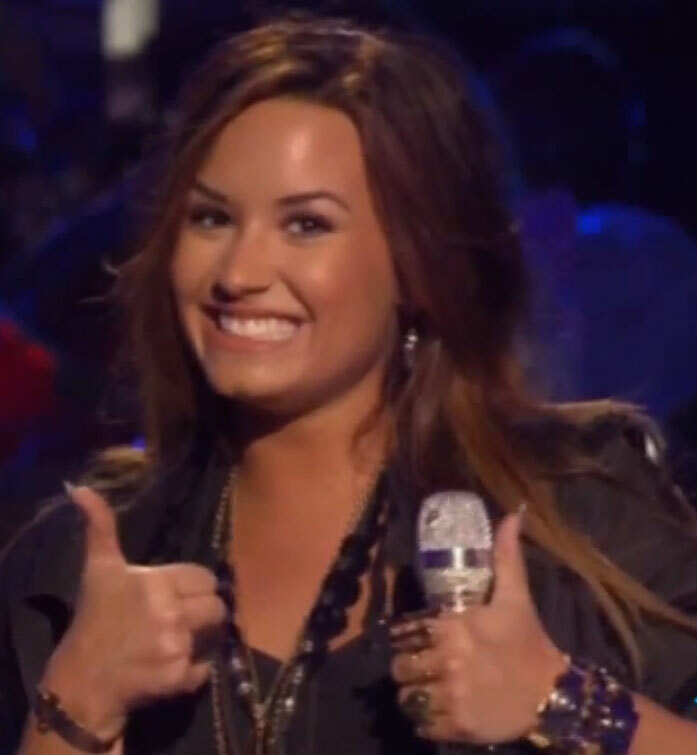 Now in all honestly I have no real idea who Demmi Lovato is. Other than knowing she's popular with the kids/tweens of the world and that I did a vocal profile on her a while back- that didn't really leave any lasting impression (see here)- she's not someone who I've ever had much cause to come into contact with. Well that all changed after she popped up on America's Got Talent to perform new single, and Broken Strings slight sound alike, Skyscraper. Not only did Demi Lovato give a confident and assured performance, but she brought a solid vocal too, with the G5 at 3.14 and sustained D5 at 3.30 totally taking me by surprise. I won't be running out to devour her back catalougue any time soon, but this performance, and the song itself, has certainly made me re-evaluate Ms Lovato and her place in the music world. Her tone is veryy weak ! Great Song , very meaningful and inspiring. Great she's hitting high notes BUT HER TONEEE is just so weak ! Hey divadevotee, I enjoyed this post, and in this vein, thought you might like to review YouTube singer Christina Grimmie's recent performance on Ellen: http://www.youtube.com/watch?v=qfDqF6kLoAY She's hitting a bunch of F5s comfortably and at the end (I believe) gets a B#5. I'm not a raging fan of hers by any means, but if we're talking risky live performances, I think hers definitely beats Demi Lovato's. I just downloaded this (I had free downloads to use up) after only hearing it a couple of times, I have to say after a few more listens I am hooked! So I keep hearing!! Oh and noticed the video was removed so have embedded another! Nice one! The live version is really quite impressive! Its a wee shame though, get the feeling that this song is the only stand-out track from her album! But being honest I won't be rushing out to buy it unless another track is released and blows me away. The slight scratch is from bingeing and purging. It's definitely not the only stand-out from her album. If you like this one you'd like "For the Love of a Daughter." I think it's far better; very emotional. There are a few other good ones like "Give Your Heart a Break", "My Love's Like a Star", "Hold Up", and "In Real Life". I like her old more rock oriented music better, though. Thanks for the info! Will be sure to check them out! I will be honest, I have not really checked out her previous work but might just do now! And agreed about the scratchyness caused by vomiting, a few people have said that and to be honest it sounds about right. Horrid disorder bulimia is! Well, Britney and Christina aren't Disney stars because they didn't launch their career thru Disney Channel, but as solo artists with major record labels. They were on Mickey Mouse Club back in 93-94, while their first albums were released in 1999, five years later and with no promotion from Disney directly. Selana, Miley and Demi, on the other hand, had shows on air in Disney Channel and were heavily promoted by Disney. You're welcome! Yeah, bulimia is horrible and I think that's one of the main reasons she sought help for it, because it was destroying her voice. Also I recommend "Got Dynamite" from her 2nd studio album. If you can't really get to her old stuff I recommend at least listening to that one. And to be honest, I'm not a fan of Demi (there's something about her voice that I severely dislike) but I admire her for not coming out with the same cookie-cutter crap and processed vocals. Oh, and I also love the emotion and feeling she puts in her songs. She seems like a true musician. are but definitely you are going to a well-known blogger when you are not already.